A Federally Qualified Healthcare Center (FQHC) and Essential Community Provider (ECP) serving all who are in need. Without Exception. 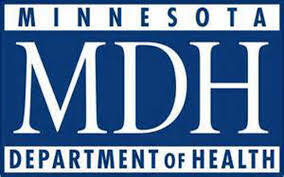 The Minnesota Department of Health has designated AXIS as an Essential Community Provider (ECP), a status given to “health care providers that serve high-risk, special needs, and underserved individuals,” pursuant to the requirements in Minnesota Statutes §62Q.19 and Minnesota Rules Part 4688. Universal Medical Services d/b/a Axis Medical Center is a Federally Qualified Healthcare Center (FQHC) operating under the authority of the Health Resources and Services Administration(HRSA), an agency of the U.S. Department of Health and Human Services. a cabinet-level department of the federal government with the goal of protecting the health of everyone. As such, Axis is chartered and committed to serving Medically Underserved Areas/Populations (MUA/P) as defined by a wide range of obstacles to full health and wellness. As part of this commitment, Axis employs a generous fee scale, and never turns away a patient because of inability to pay. 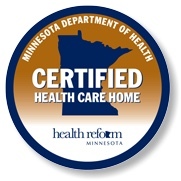 The Health Care Homes (HCH) program is one of the centerpieces of Minnesota’s health reform initiative. Through their focus on redesign of care delivery and meaningful engagement of patients in their care, Health Care Homes is transforming care – and lives – for millions of Minnesotans. The name “Health Care Homes” acknowledges a critical shift that needs to happen in order to truly improve health in Minnesota. This is a shift from a purely medical model of health care to a focus on linking primary care with wellness, prevention, self-management and community services. We speak English, Somali, Spanish, Hmong, Arabic, French, Amharic, Urdu, Turkish, and Kiswahili. The most affordable comprehensive immigration and travel services in the Twin Cities. A receptionist is on duty. For emergencies, call 911 or check into a nearby emergency room. Axis Medical Center provides health services to all individuals regardless of ability to pay. Dedicated to its responsibility as a foundational community service institution, Axis partners with area organizations to meet health care and wellness needs of underserved people, including immigrants, homeless, destitute, disabled, and uninsured. Axis educates and empowers people to achieve life-long agency and autonomy in their health and wellness. Call Now (612) 823-2947 to set up a long-term Healthcare Plan for you and your Family.